Today's post is going to be about the products I have used up and all of them have been repurchased again as I totally cannot live without most of them. This is probably the only drugstore makeup remover that has been good for my eyes and skin. Although it says it is a eye makeup remover I do use it for my face and seriously it is the only product that has never broken me out. I have tried other makeup removers from MAC(not drugstore but I have used it and it doesn't suit me), Revlon, Maybelline etc and till date this is the only one that has suited my sensitive skin. 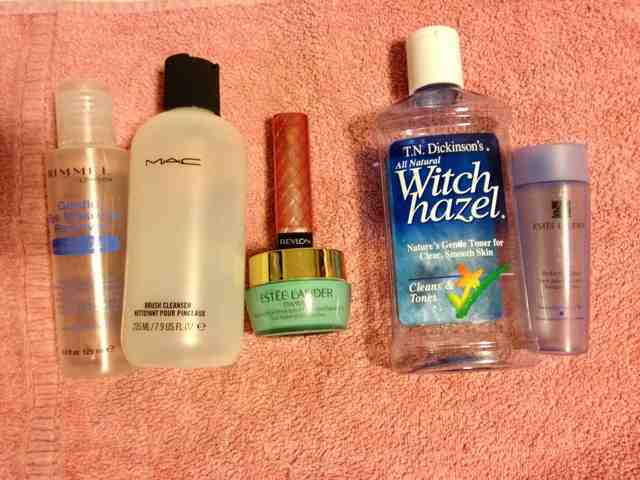 This is my third empty bottle so you can guess that it is my HG makeup remover. This product is good for spot cleaning your brushes but there are other brush cleaners out there that do the same job. I bought it from overseas and it costed me around $12 but it retails for I think $20 in Australia. I had purchased two bottles so when I run out of my second one I may try another cheaper brand. I got this in a gift bag and loved it so much that I bought a full size. Recently ran out of that so I bought another one. The sample was for normal to combination skin and my first full size was also normal to combination as I dont get very oily. The second one that I have purchased is for Oily skin so I will see how that goes. I personally love the product but again its not a must have. There are cheaper more amazing moisturizers but for me when something suits my skin especially if it directly touches my skin I stick to it. Faboulous toner!! I have used a lot of toners and this one is really good. It doesnt smell all alcoholy, although it does have 14% alcohol but its not all chemically smelling. It contains 100% distilled witch hazel which is good for acne prone skin. I use this product at nights when I take my makeup off and after I wash my face using it like a toner. Everytime I do that I have leftover makeup on my cotton pad. I cleanse my face really well but this product takes that 0.1% of makeup left on the skin. I would truly recommend it. If any one would like me to do an indepth review on any of these products do let me know in the comments section below.